"My life has been one of service. After 15 years of disseminating truthful information to help provide massive healing to over 75 million people and the planet through my HealthyLife.net Radio Network - I am pleased to announce that I am being called back to help you. I have missed the one-on-one interaction, but more importantly, am disappointed with the 'half truth' information being given out these days, even by some of the 'well-known' experts. Half-Truths that lead people away from the Light, rather than directly towards it. 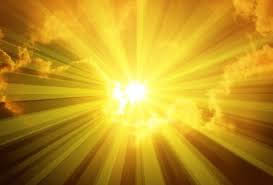 As a Spiritual Warrior of Truth I have been guided to become a Beacon of Light providing a path of integrity to reverse the Effect of these untruths. Everyone is unique and different and no one way works for everyone in the same way - but there are guidelines and after 51 years of study and application I can help you discover the ones that are right for you. Location: Redondo Beach, CA. Location given at time of registration. Private 'Groups of 10' - Gather your friends and call me to schedule your private workshop. Cost: $50.00; Pay at the door by cash, check or credit card. Who Should Attend: Anyone who wants to learn about the basics of Psychic Ability. Learn about Psychic Ability: includes psychic code of ethics, explanation of the 17 psychic abilities. Plus a 30 min documentary, Q & A, and 3rd eye energy activation. Prepares you for the 'Expand Your Psychic Ability" 5 day hands-on workshop. Who Should Attend: This Master Class for exploring your psychic abilities geared for someone who has at least explored their psychic abilities. This and who psychic. This is for anyone who wants to learn about the basics of psychic abilities. Who Should Attend: This is for anyone who wants to learn about the healing property of crystals and how to use them. Cost: $100.00; Pay at the door by cash, check or credit card. Purpose of Workshop: Understand the 11 energy zones, how Universal Laws come into play and how to use positive energy and tools for Spiritual and Psychic Protection. Includes 'Individualized Energy Shield' Activation. Cost: $25.00; Pay at the door by cash, check or credit card. Who Should Attend: This is for anyone who wants to discover and use natural methods for menopause. Purpose of Workshop: Discover the cultural history of menopause, the differences between HRT, ERT, NRT and natural therapies. Learn about the symptoms of menopause and healing natural treatments that work, including the 20 second hot flash stopper and visualization. 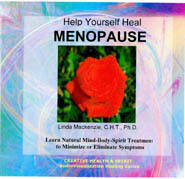 Optional Menopause Visualization CD available. Who Should Attend: If you've ever been curious about learning about automatic writing and how to use it with intention this one is for you. 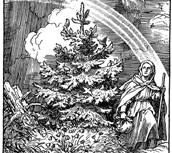 Purpose of Workshop: Learn about the history and differences of automatic writing; why and when use automatic writing and finally how to protect yourself and actually do automatic writing. Who Should Attend: Anyone that has a negative emotion or wants to find their hidden negative emotion and clear them to have a happy, healthy life. Who Should Attend: This is for anyone who wants to discover one of their past lives amd/or the impact it has on this one. Who Should Attend: Anyone who wants to get and maintain well-being and a perfect healthy, fit body. Purpose of Workshop: Discover the real cause of weight gain - stress; get the 6 steps and 8 keys to weight loss; learn what, how and why visualization can help. Includes Multiple Weight Loss Visualizations for unique issues. Who Should Attend: If you want to attract, improve or release ANY relationship and overcome past relationship blockages to allow more love to flow towards you - this is your workshop. Cost: $35.00; Pay at the door by cash, check or credit card. Who Should Attend: Anyone who wants to have an adventure using symbols for self-empowerment, increased positive energy and protection.